Krepps Park Shelter is located adjacent Krepps playground area and for that reason is a popular picnic and family gathering location. 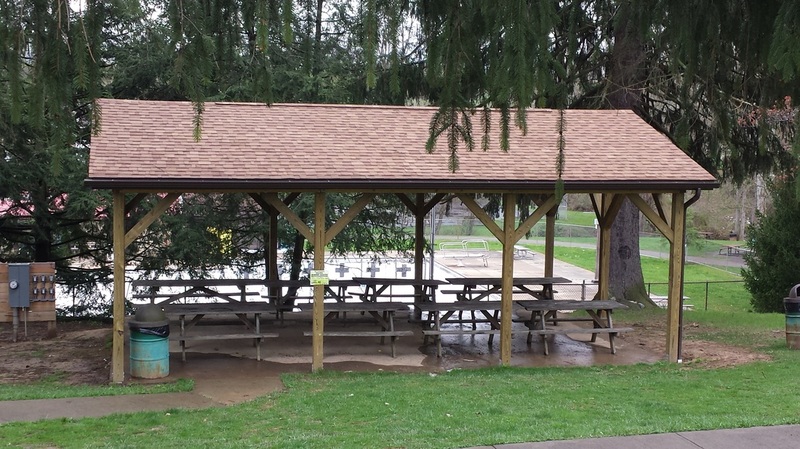 Krepps park also contains other picnic tables throughout the grounds that are available on a first come, first to use basis. When using these facilities, please remember to pick up as your group vacates the park in order to keep our City parks clean for all users. Please call 304-296-8356 for further information or to check availability. Krepps Park now is offering for rent the Krepps Mini Pavilion. The mini pavilion will seat approx. 40 people. It also includes electric and a small grill. Please call 304-296-8356 if you are interested in making a reservation.